Today THQ releases UFC Undisputed 3 for Playstation 3 and Xbox 360. This has been a highly anticipated game in The Koalition office as we have quite a few UFC fans on the team. 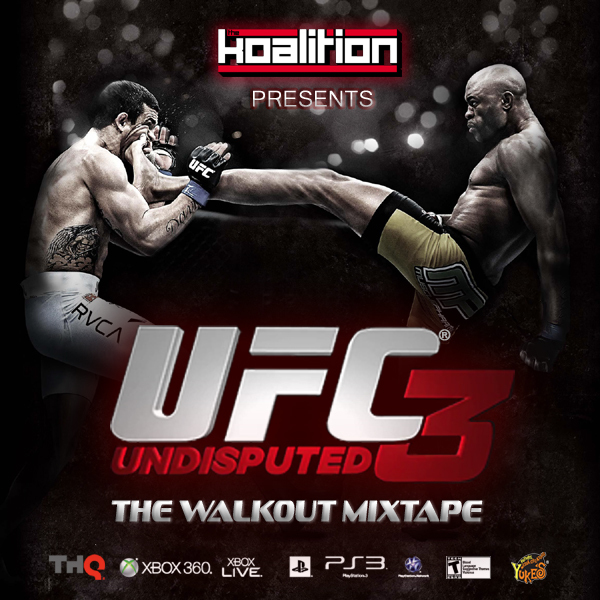 In celebration of the game our Koalition familia James Kennedy decided to put together this awesome mixtape which features the entrance music for some of the most popular UFC fighters out there. This is all for promotional purposes, but as usual Kennedy puts a lot of thought and dedication behind his work.. so a huge shoutout goes to him. See the playlist and download link below.